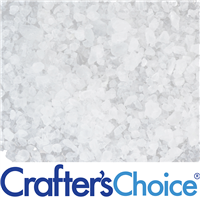 This high mineral sea salt will increase the quality of any bath salt recipe. Natural sea water and an advanced filtration system makes these salts uniform, white and clean. All Natural. "A must have for foot soaks and salt scrubs!!!" COMMENTS: Love the size. Fragrance and color is easily absorbed by these crystals. Great buy!! COMMENTS: I made bath salts for my granddaughter and she loved the fact that these melted in the bath water completely. She didn't like most bath salts she said, because they were like sitting on gravel! COMMENTS: I tried these as I usually get Dead Sea salt...and I love it plus it’s a whole lot cheaper. 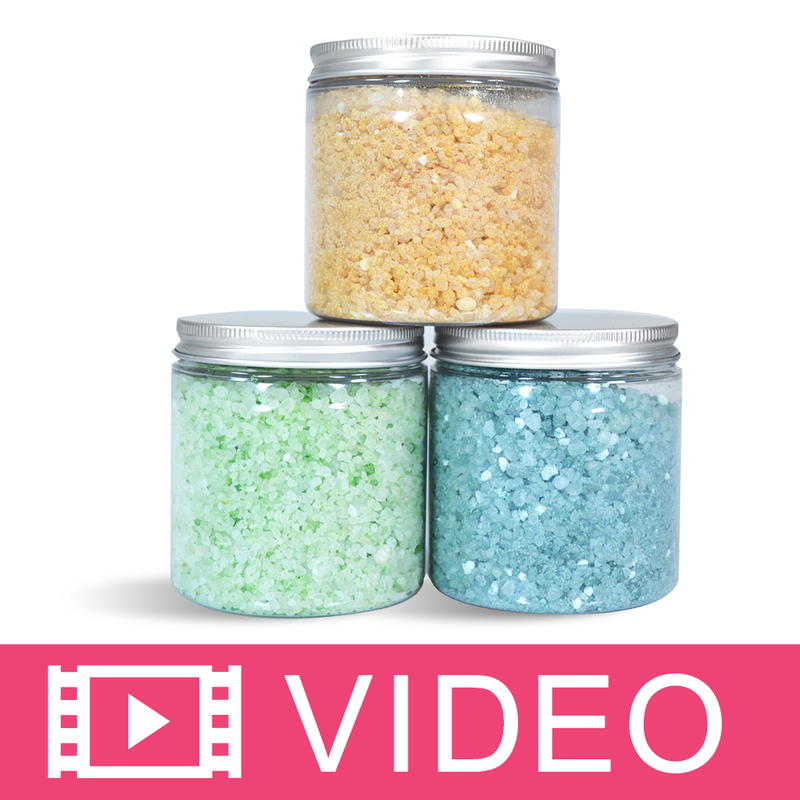 Great quality that makes my scrubs and bath salts perfect! COMMENTS: I added this to my bath salts and it's relaxing properties are wonderful. COMMENTS: I like that these crystals provide a different texture to traditional bath salts. COMMENTS: I absolutely love these and they mix well with the European blend. COMMENTS: I really like these salts. I mixed them with a few other types of salt and they hold fragrance well, they dissolve easily in bathwater, and they look really great in a jar! COMMENTS: I add to my regular salt blend,such a great addition. Need a bigger bag next time! COMMENTS: GOOD QUAILTY SALT, I MIX IT WITH THE DEAD SEA SALT, AND SELLS VERY NICELY. COMMENTS: Great addition to a complete bath salt mix. It is a little less expensive than some of them so it helps to balance the cost out. COMMENTS: Such a great option for my bath salts! COMMENTS: I use these in my bath salt blends. The granules are a nice size and they hold color and fragrance. COMMENTS: I use it in my salt scrubs, in very small amount, seems to hold and give this nicer look to my whipped salt scrub, I just love it, my customers too. COMMENTS: Loved the size of the salt. Held color and fragrance well. "Bath Water Crystals - Medium"
COMMENTS: These are beautiful bath crystals and look great mixed with smaller salts too and dissolve nicely in the water giving it a luxurious feel, a must have product! COMMENTS: Holds oils VERY WELL!!! COMMENTS: Perfect size for bath soaks. not too big not too small!. COMMENTS: Great addition for bath salts - not much is needed. COMMENTS: Love the clarity and the product! 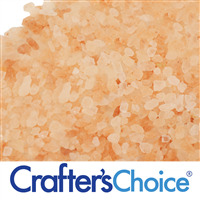 "Great salt for bath salt blends"
COMMENTS: Good consistent size grain and free of impurities. Great addition to my blends. COMMENTS: Love these! They work beautifully in bath salt recipes! COMMENTS: Very pleased with product. COMMENTS: Perfect in bath salt recipes! Will continue to buy this blend again & again!! COMMENTS: I bought these to try the recipe for aroma crystals and what a hit! Who doesn't like to smell their favorite fragrance on a regular basis? ! These hold the fragrance oil and essential oil fragrances very well. Now all my customers can have their favorite scents in whatever room they wish. COMMENTS: This is a great addition to my bath salts and truly makes a luxurious feel to my products. Will definitely buy again. COMMENTS: I add these to my bath salts mixture and it makes all the difference! COMMENTS: We're great in my bath salt mixture! COMMENTS: Customers love this addition to my milk baths. COMMENTS: This was a perfect addition to my bath tea bags. I added the bath crystals to my dry herb mixture. I wish that I bought a larger size which is what I will do next time. COMMENTS: My friends and I got together tonight and made lavender bath bombs with these! A+! COMMENTS: A good economical choice for bath salts. Mixes well with fragrances and colorants. COMMENTS: I added this to my bath salt mix and loved it that much more. A client even noticed the difference. COMMENTS: Perfect size for adding to my bath salt blends. These are nice and clean, with a great texture and shape. COMMENTS: These make a beautiful salt bar. Customers love, love, love this salt. Just remember to cut your salt bars a few hrs after making them or they will crumble. Great product. COMMENTS: Pretty chunky and takes awhile to dissolve in water which is nice. COMMENTS: great quality salts. I like to blend them with other sizes for a variety of salts. The customers love these as well as spas. "Used to help appearance of bath salts"
COMMENTS: I used in bath Salts. Works great. COMMENTS: I added this to my bath bombs and to my CP soaps to make a nice scrubby effect. Works great! COMMENTS: Love these! Great for Bath Salts and Scrubs! "Sea Salt for Bath Salts and Salt Scrubs"
COMMENTS: Great quality salt. Very clean which makes for great Bath Salts and Salt Scrubs. COMMENTS: Love your bath salts! I have used other brands in the past, and they're just not as nice. These are a nice sized grain and a good color as well. Will be using your brand faithfully from now on! COMMENTS: I used these in my men's salt bar, and I LOVE the way they turned out. Everyone says how beautiful the color is, and it gives my soap a marbled effect! They held up nicely! COMMENTS: I used the bath water crystals to top off a loaf of melt and pour soap for a little bit of sparkle....I just sprinkled them on top before the soap set up. I loved the way it looked. I'm planning to try it on CP soap in the future. COMMENTS: Affordable and nice to have on hand. Makes nice bath salts. COMMENTS: The bath crystals are very easy to work with. I threw in a little fragrance oil and a little mica powder and let it dry overnight. The next day I had 5 lbs. of awesome bath crystals. The bath crystals held on to the fragrance very well and made my skin feel soft. I definitely recommend this product. 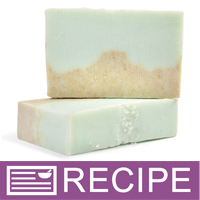 COMMENTS: I have been using store bought sea salt to add to my soaps but wanted to try something different. The bath water crystals are much nicer - I wish I had found these sooner! I think these will also work well in my bath bomb recipe too! COMMENTS: I REALLY LIKE THESE BATH CRYSTALS, I MIX SOME EPSOM SALTS & FRAGRANCE WITH THEM , COMES OUT GREAT! COMMENTS: These were a lot finer than I expected. Love them! 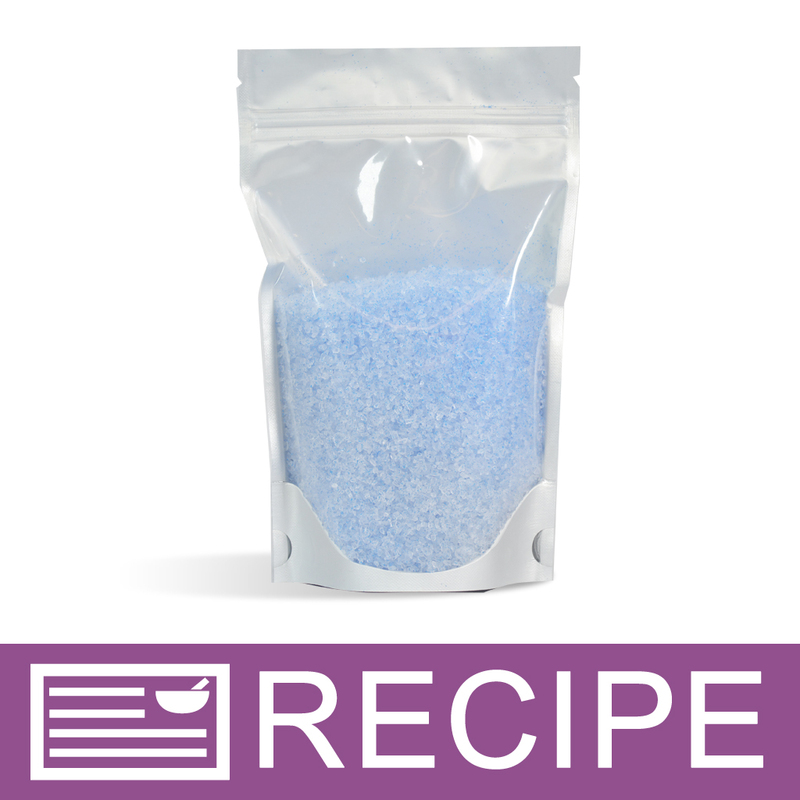 COMMENTS: Picked this up to make bath salts- great product that is very easy to use. Held scent and oils well, highly recommend! COMMENTS: Exactly what I was looking for. The price isn't bad for as much as you get. They disolve great too! COMMENTS: I made peppermint bath salts for Christmas as gifts and added the bath water crystals to my bath salts. 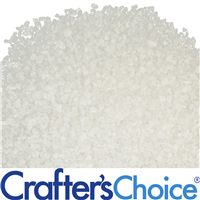 I always try my products out before giving them to someone else, so when I tried my bath salts my bath water seemed softer, when I got out of the tub my skin seemed much softer than before, so from now on when I make bath salts I will definitely add the crafter's choice water crystals to the mix and I would recommend them to anyone making bath salts. COMMENTS: I bought this to mix with my Dead fine dead sea salt. It mixed well and the 2 different textures were perfect. And they dissolve in the water perfectly. 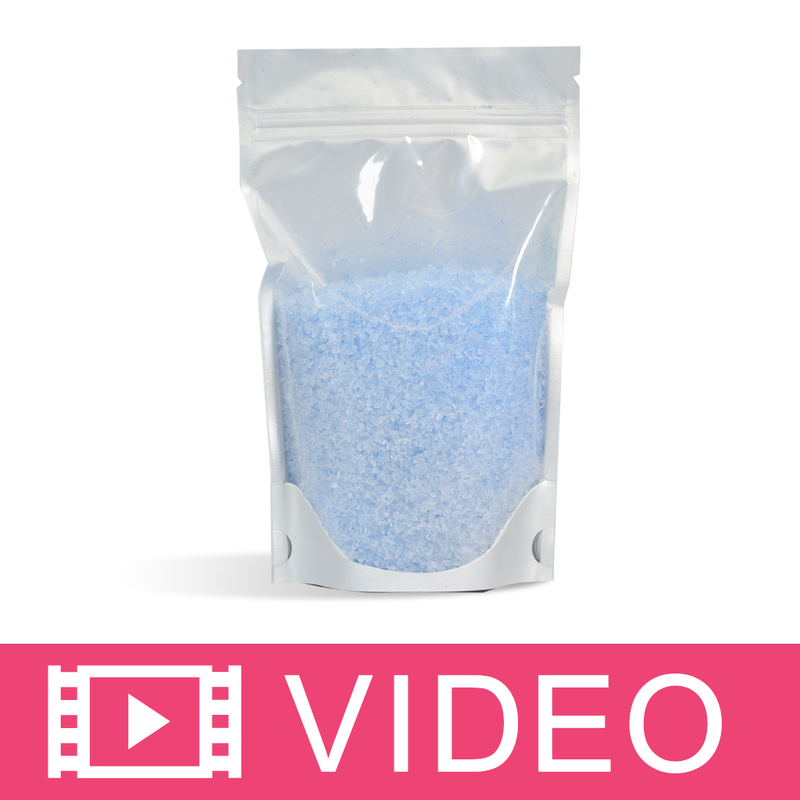 COMMENTS: These bath crystals are a great additive for your bath salts. I received these in a gift from another soaper and they are a must have for your bath salt products. COMMENTS: Bought this product for use in CP soap. Added at trace and just love how it looks in the bars of soap! I am very happy with this purchase. COMMENTS: These are beautiful and a very good price! Glad they are here! "How is this compare to Epsom salts?" Staff Answer Epsom salt is magniesium sulfate and bath water crystals are sodium chloride. The crystals are also a bit larger. "Are these safe to use on the top of your soaps as decoration?" Staff Answer Yes, they can be used in your soap and on top as embellishments. "Can this be listed/ marketed as mineral sea salt from brazil"
Staff Answer These bath crystals do come from Brazil so you would be stating fact. It is up to you how you want to market your products. "How do bath water crystals compare to dead sea salt, aside from shape?" Staff Answer They are different salts with different benefits. People like them both due to the benefits each can provide. You can use them together in a bath salt recipe if you'd like. They are both great salts for the bath. The bath water crystals are made in Brazil and as our 'Additional Information' tab states it is high in mineral sea salt. The Dead Sea Salt is from Israel and salts in Dead Sea water have magnesium, potassium, calcium chloride and bromides.